In a night filled with trips back in time, Inside MMA reported tonight that Fedor Emelianenko's opponent for the Rizin New Year's Eve show would be Tsuyoshi Kosaka, a 45-year-old retired pro wrestler from Japan. After the report aired, Jerry Millen, who works with Emelianenko, denied that Kosaka was the opponent. Observer sources in Japan say that Emelianenko's opponent has not been decided and there were several different people under consdieration, Kosaka being one of them. Kosaka who has a strong judo background, was one of the major stars with the RINGS promotion in the 90, where he had some classic pro wrestling matches, and also headlined a Tokyo Dome show for New Japan Pro Wrestling. He also competed as a regular in Pride, and went to the semifinals of an eight man UFC heavyweight title tournament after Randy Couture vacated the title, before losing a classic fight with Bas Rutten. Kosaka won a controversial match over Emelianenko on December 22, 2000, in RINGS, the first loss of Emelianenko's career. It was in a tournament, and ended in 17 seconds when Emelianenko was too badly cut to continue from an illegal elbow. The match would have been ruled a no contest normally, but being part of a tournament, they declared Kosaka the winner since Emelianenko wouldn't be allowed to continue in the tournament. Kosaka then lost in the next round via decision to Randy Couture. It was one of the great "What if's" in history, since, had Emelianenko not been cut and advanced, he and Couture would have faced in 2001. 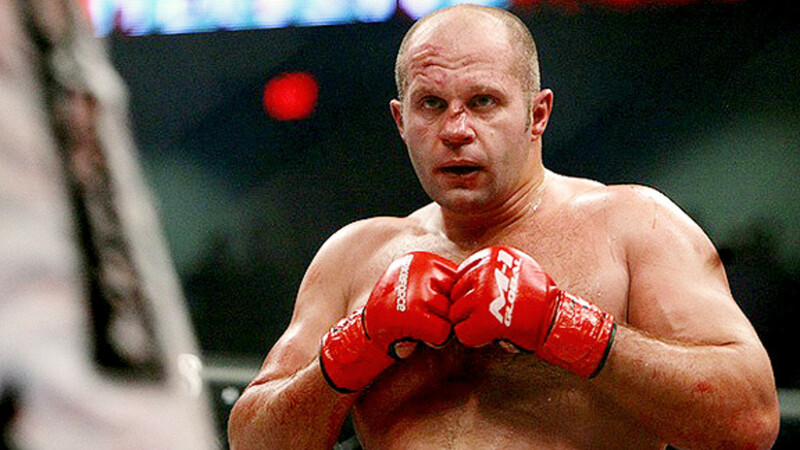 Fedor would eventually avenge the loss to Kosaka in a fight on April 3, 2005, in Pride, saw Emelianenko win via doctor's stoppage at the end of the first round. Kosaka had been announced as coming out of retirement for the show last week. Dave and Bryan have a brand new Wrestling Observer Radio talking this story right now for subscribers along with the Royce Gracie and Ken Shamrock 3 announcement and more!